I feel sad a lot mainly because I get into deep depression and its hard to pull myself out. But there are always books to read and some of them can really help when you are lost in despair. 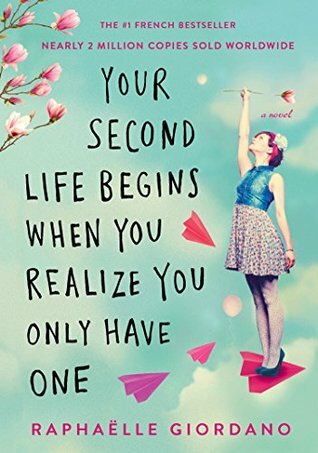 Your Second Life Begins When You Realize You Have Only One by Raphaëlle Giordano is a very good, entertaining story that is easy to read in a few hours and will leave you feeling happier than when you sat down. When Claude, a French Sean Connery look-alike and routinologist, offers his unique advice to help get her there, she seizes the opportunity with both hands. 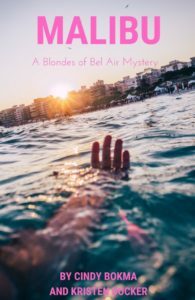 Camille’s journey is full of surprising escapades, creative capers, and deep meaning, as she sets out to transform her life and realize her dreams one step at a time . 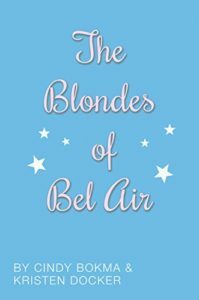 . .
A charming, feel-good, and universal story of one woman’s journey from boredom and dissatisfaction to happiness and fulfilment–for fans of Hector and The Search for Happiness, The Little Paris Bookshop, and Eat, Pray, Love. I want to read more books like this, charming and happy! It will help lift you from a sad mood and perhaps give you a way of looking at the world differently too. 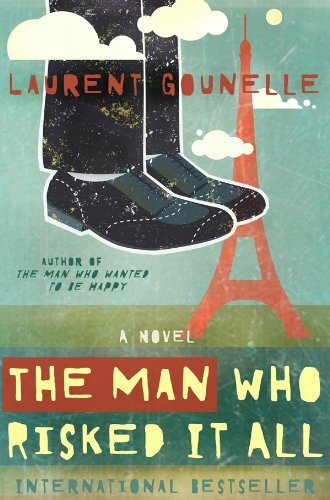 One of my favorite books is called The Man Who Risked It all by Laurent Gounelle. I was captivated by the writing style and greatly enjoyed the story, so much so that I bought another book by the same author (and I loved that one too). Part self-help, part story and all very encouraging and uplifting, these novels are among my favorite books. Looking down from the Eiffel Tower, Alan Greenmor stands on the edge, determined to end it all. As he prepares to jump, his thoughts are interrupted by a cough. To his right is a mysterious stranger in a dark suit, smoking a cigar. This is Yves Dubreuil. The person who will change Alan’s life. Dubreuil convinces Alan to reconsider his plans, with one caveat: instead of ending his life, he will give his life over to Dubreuil. In return, Dubreuil promises to teach Alan the secrets to happiness and success. And so, Alan embarks on a wild ride of self-discovery. From a humiliating fiasco at a Parisian bakery, to finding the strength to assert himself in his company’s boardroom, Alan learns to overcome his deepest fears and self-doubts, face life’s unexpected twists and turns, take crazy risks, and fully accept himself in the process. I really liked this one too! It was so good and I read it quickly. I know the author has written other novels and I would LOVE to read them however they are not in English! Help! At the end of a holiday in Bali, Julian, an unhappy schoolteacher decides to meet a renowned local healer, Samtyang. Through daily sessions at the wise man’s house, he begins to identify the source of his unhappiness as a series of simple questions and answers point to his own limiting beliefs and fears. Day after day, their dialogue is punctuated by live examples and challenges Julian is asked to experience on the island’s mainland and its surroundings. 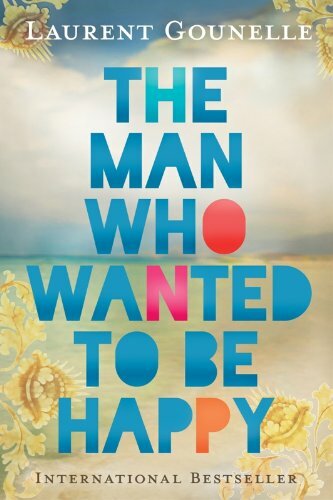 From international best-selling author Laurent Gounelle, The Man Who Wanted to be Happy explores the world of new possibilities that are open to us when we discover how to break free of what prevents us from being truly happy. 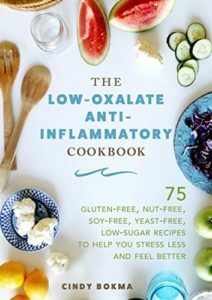 I love the cover of this book, I think it looks cute and happy! 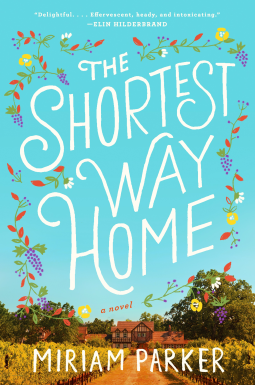 The Shortest Way Home by Miriam Parker is on my To-Read list, at the very top! Its getting awesome reviews and I am so excited for Miriam! “Delightful” “Heartwarming” and “a gem” are just some words used to describe this novel. I wouldn’t be surprised if this was turned into a Lifetime or Hallmark movie!